The Scottish Government plans to spend £216.2 million on workforce and nursing in 2019/20. This figure is included in the 2019/20 Scottish budget published this week and is part of £14 billion proposed spending on health and care services. The workforce and nursing package is an increase from the previous budget of £193.1. Free tuition for nursing and midwifery students will continue in Scotland, with £11.1 million being invested to increase the level of bursary support in 2019-20, with a further £25.4 million committed for 2020-21. But in its budget announcement the government warned of challenges arising from a ‘highly uncertain environment’ including Brexit. The latest NHS workforce statistics for Scotland recorded a vacancy rate of 5.3% (2,401 whole-time-equivalent) for nursing and midwifery posts in the quarter ending 30 September 2018, with 1.9% (876 whole-time-equivalent) of those posts vacant for three months or more. RCN Scotland director Theresa Fyffe called on the government to back the implementation of a safe staffing bill. ‘Nurses and healthcare support workers across the NHS and care home sector are under immense pressure, with the vast majority feeling they do not have time to care for patients as they would wish to,' she said. Last month a government committee said the proposed bill required more clarity on who takes responsibility for setting workforce levels. 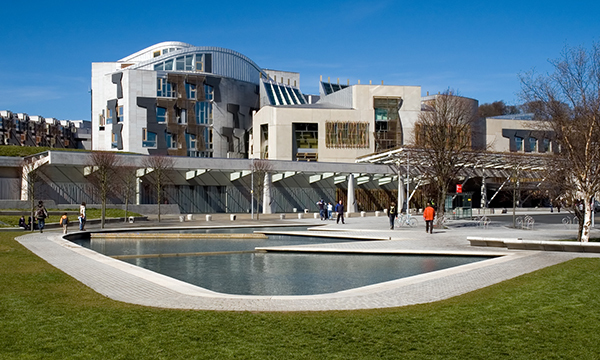 The proposed budget will be debated in the Scottish parliament next month.